I was recently introduced USB Safely Remove and now it helps me a lot. If there are no persons in work for Korean Language, I think I can provide the translation in a few days, hopefully. Thank you for your kind offer, but Korean language is already included into USB Safely Remove 4.0 beta 7 setup file. What version of the program do you use? I installed an installation file of the USB Safely Remove given from my friend; maybe his version was a bit older one. Thanks for remind me to update it! I checked the latest version, and I found that some translations of detailed option descriptions are missing and some are a little bit awkward. Can I add or correct it with my translations? Chelsona wrote: I checked the latest version, and I found that some translations of detailed option descriptions are missing and some are a little bit awkward. My beta update of Korean translation. I reviewed the previous version of translation, and (sorry JH! ) I found some misspelled Korean and translations that are not actualy representing their functionalities. Some option description texts from the most recent beta version featurs (e.g. enable verbose logging) are also translated. I'm not sure that my correction is well done, but I hope it so. At least it was OK when I checked it through program, except one thing: there is a problem when displaying "Disk space: Total - %s, Free - %s" here. In my assumption, a letter right before "GB" is not a letter that is supported by Korean characterset, and causes a character problem when be followed by other 1-byte letter, by emulating character code of an unexpected 2-byte Korean character such as "쟃", as shown in the screenshot above. So I added some blanks at the front of measure units like GB in my beta translation; however, there are still an unexpected question marks (?) in the messages. In Korean characterset, unsupported characters often displayed as "?". I cannot distingusigh what this caracter is: since I am using Korean version of MS Windows, the letter is also broken even I selected English for the program language. Igor, would you please provide me a screenshot of the drive properties menu in English MS Windows? Then maybe I can found what was the probelm. I'm sorry for so long response. And thanks a lot for the translation update. Chelsona wrote: Igor, would you please provide me a screenshot of the drive properties menu in English MS Windows? Then maybe I can found what was the probelm. This symbol is non-breakable space. We are displaying it to make string in the left box be displayed nicer. However I see that it is not supported by every ANSI charsets, so will fix this problem as soon as possible. P.S. I've just sent you the license key for your help. P.P.S. May I ask you in future to translate new versions' strings? Igor wrote: This symbol is non-breakable space. We are displaying it to make string in the left box be displayed nicer. However I see that it is not supported by every ANSI charsets, so will fix this problem as soon as possible. Thanks for identifying the problem. If it is fixed, then I can remove the spaces before size letters. Igor wrote: P.P.S. May I ask you in future to translate new versions' strings? Is there any reason that you used word "mount point" instead of "card reader"? If those messages only appears when a card reader is shown or hidden, may I translate them as "Card reader drive has been shown (Media inserted)" / "Card reader drive has been hidden (No media)"? I think it is better to understand if there is no possibility of displaying those messages for other kinds of devices. I found a bug and sent bug report, and realized a little thing: is it better to mention that "Please, describe the problem in English and click "Send Report" button" for you? This message means that the program assign a mount point (drive letter or a folder) to device. I agree this message is a very technical so, it's likely that we will remove it or replace with something more user friendly. Now you can replace it in Korean with phrase: "Drive letter has been assigned to device" or you may suggest another option. I've explained above what this phrase means, so, I wouldn't recommend it to translate it like this. You are welcome to suggest any other "user-friendly" phrases. Yes, it would be great. Chelsona, thanks a lot for your power of observation! Let me know about any kind of such "little issues" you'll encounter. Here is amended language file. 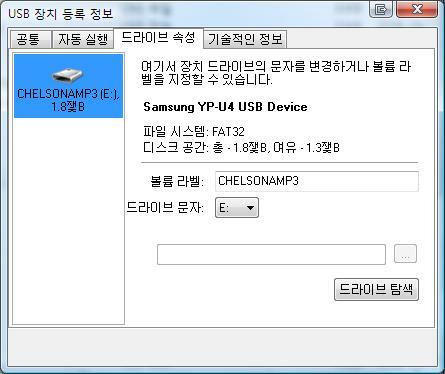 Chelsona wrote: Now you can replace it in Korean with phrase: "Drive letter has been assigned to device" or you may suggest another option. After some thoughts, I retranslated it as "Drive letter/Folder connection(=mount) has been assigned". I still think that the word "mount" is not so familiar with Korean PC users, although I'm not sure about English or other language speakers. I added the sentence there. Also, blanks at the front of the size units like "GB", which was added by me to avoid the error caused by nonbreakable space, are removed. I believe the problem will be solved in the next version. Thanks for the update! However I'm not sure sure we will be on time with "nonbreakable space error" fix in this version, so I'd like to ask you to leave spaces. Sorry for long no reply. I was very busy for my job. I downloaded the beta 8; the nonbreakable space error seems fixed (as my point of view). Is the 'spaced' version of lng file still needed? And here is a new .lng file with minor corrections from the latest version and new tranlations of beta 8 texts. Additionally, I translated the "installation notes" in the program installer. I'm not sure that the message can be provided by installation language, but if possible it would helpful. Yes, we have created a temporarily workaround for this problem especially for Korean locale, so you do not need to put additional spaces there. Also thanks for the release notes in Korean! I'm note sure whether it is possible to add them in to the version 4.0 final, but we will certainly add this file to the next version. I encountered a translation problem. It's just a minor one but I thought it is worth reporting. I didn't remember exactly what it was, but yesterday I saw a dialog with "yes/no" buttons. The problem is that: "No" on the dialog button and "No" in the drive letter list is currently displayed as the same translated word. 1) "A-ni-o": "No" with meanings of 'refuse', 'not true', 'not to do', and general negative response, as an opposite meaning of "Yes". 2) "Up-ssm": "No" with meaning of 'anything or anyone exists/available'. The word 1) should be used for yes/no dialog boxes, and the word 2) should be used for drive letter assignment combo box. I translated the word "No" as "Up-ssm" currently for the drive letter, and consequently I saw a dialog box with two buttons those captions are "Yes" and "Not exists" in Korean. Since the translation language file consists of 1:1 matchings between English texts and other language's text, it may a bit hard to distinguish them. But I think I should report it: similiar problem may occurs in other languages.